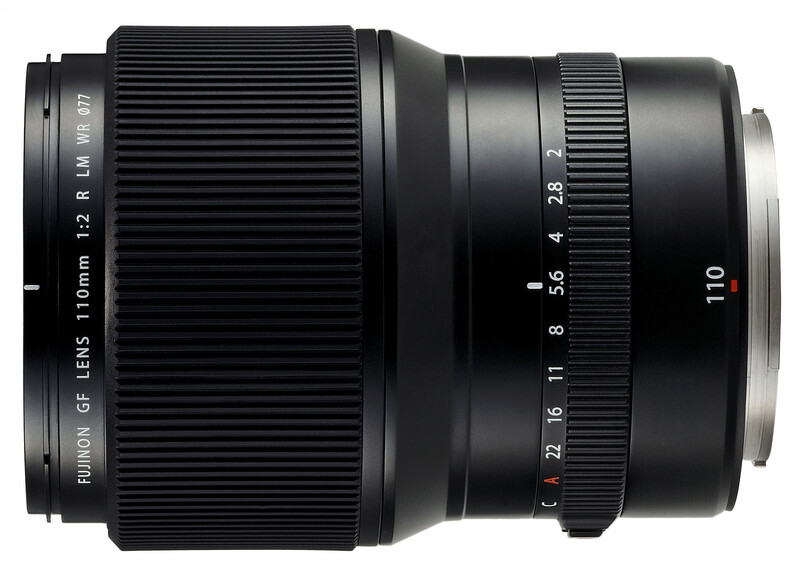 Panasonic’s expansion of its Leica optics-equipped Leica DG lens range with the Panasonic Leica DG Vario-Elmarit 50-200mm f/2.8-4.0 Aspheric Power OIS zoom lens is a welcome signal that the company is taking seriously M43’s viability as a professional-quality format for stills photography and moviemaking. Australian photojournalist Daniel Berehulak, like so many of my former colleagues with whom I worked for newspaper and magazine publishers here, finally upped and left for foreign clients and countries where photojournalists are still able to eke out a living covering events and people crucial to understanding and sometimes even influencing how the world is developing. It was terrific to come across this video of Mr Berehulak stopping in for a quick chat with the Photo Gear News team at last month’s The Photography Show 2018 in Birmingham, one of the many photography trade shows that occur in the northern hemisphere. I hope that some day soon, despite there no longer being any photography trade shows back here in Australia, Mr Berehulak will make some presentations on his work and career while on one of his not infrequent trips home to see family and friends. 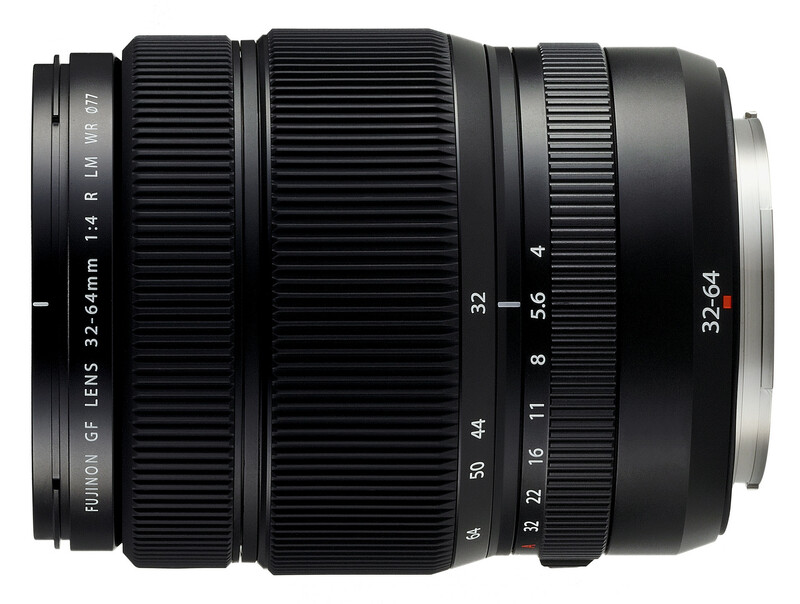 Although Mr Berehulak has also been known to use Nikon DSLRs, this Panasonic Lumix Luminary brand ambassador has apparently long relied on Panasonic Lumix cameras and lenses and especially on Panasonic’s Leica prime and zoom lenses. 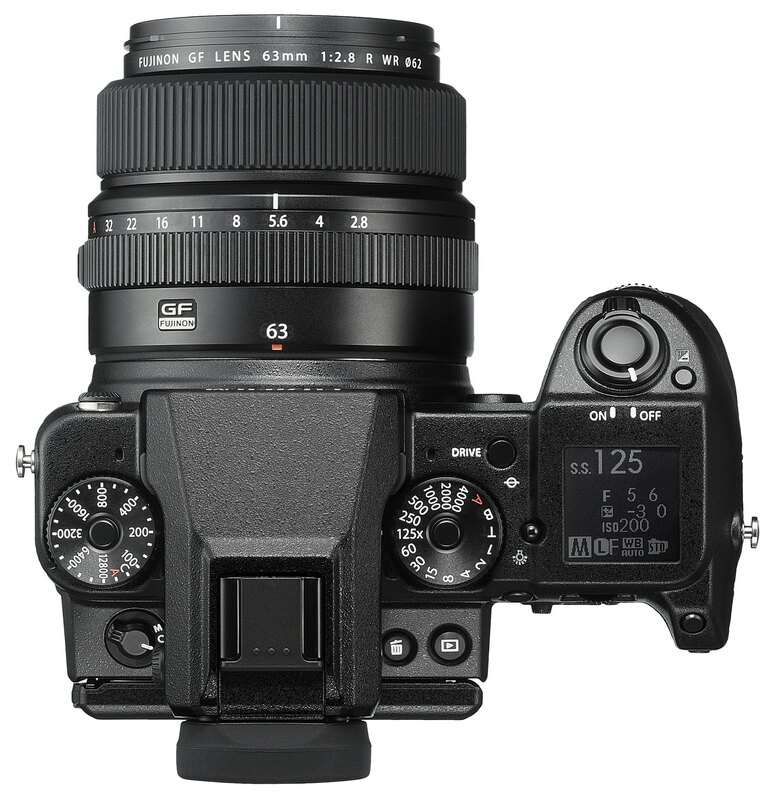 This may be a controversial view in some quarters but in my humble opinion digital gives us more than analog ever did with greater image quality in smaller, more affordable cameras and lenses to the point where Micro Four Thirds Bayer sensors outdo 35mm film, Fujifilm’s X-Trans APS-C sensors outdo 120 roll film and Fujifilm’s medium format Bayer sensors outdo 4″x5″ sheet film. If I were fortunate enough to still be shooting for analog magazines and newspapers including those published by Fairfax as Daniel Berehulak did, I would mostly be relying on Lumix cameras due to their size, weight and silent mode, though I remain partial to Olympus’ M.Zuiko Pro prime and zoom lenses for their manual clutch focus and other professional-quality traits. 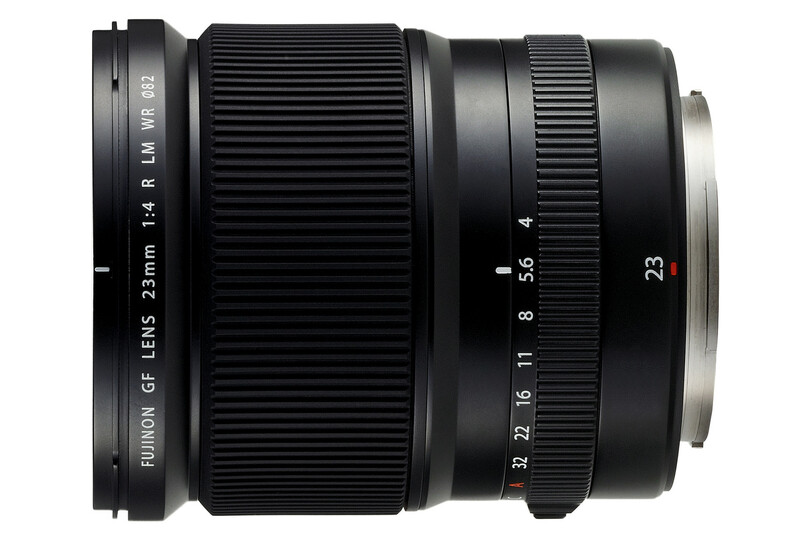 The small Micro Four Thirds sensor format and its little, quiet, discrete cameras are modern-day answers to the original aims of the inventor of the Leica analog camera, Oskar Barnack, to produce an easily portable camera for landscape photography but that was first put to serious documentary use reporting on the floods that swept through Leica’s home base of Wetzlar, Germany, in 1920. 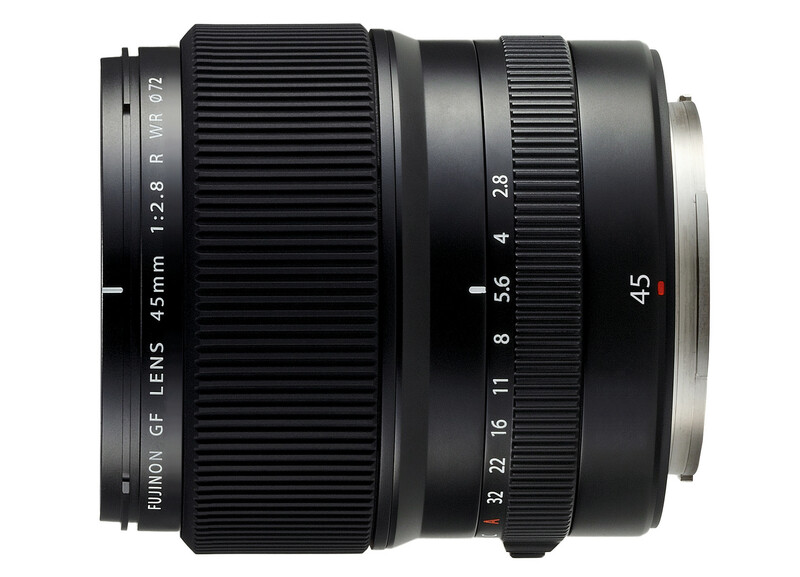 Little wonder that Panasonic has collaborated with Leica Camera AG on producing Leica and Panasonic Leica-branded lenses for its stills and hybrid cameras and camcorders since 1995, lenses favoured by Daniel Berehulak for his documentary photography and photojournalism work. Panasonic UK – LUMIX DMC-GX8 SPECIAL GALLERY Daniel Berehulak, Cuba: A Portrait Of A Country And Its People, On The Brink Of Historical Change. 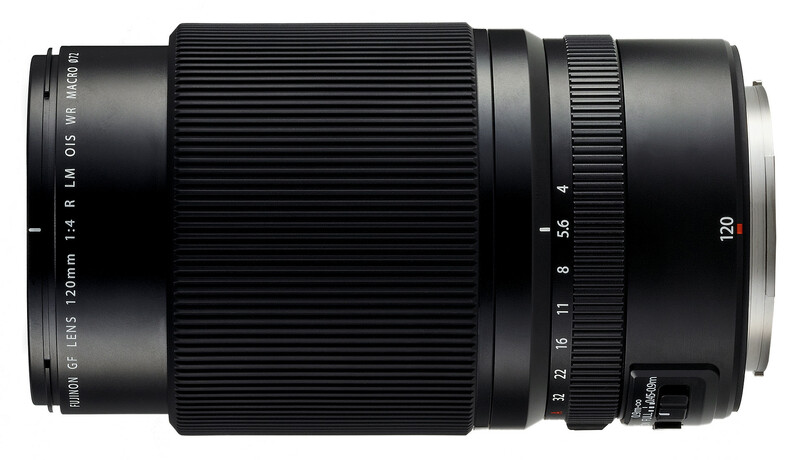 Panasonic Leica DG Vario-Elmarit 50-200mm f/2.8-4.0 Aspheric Power OIS telephoto zoom lens. “… Reuters is launching a grant program which seeks to recruit and develop a diverse new generation of photojournalists to tell original human stories from around the world. PDN: Sexism in the Photo Industry: Can’t We Do Better? Congratulations to Daniel Berehulak for his win and for working on one of the most important stories of our time. In common with many Australian newspaper and magazine photographers, Mr Berehulak moved overseas some years ago to further his freelance photojournalism career. However, his Australian connection remains strong as a brand ambassador for Panasonic’s Lumix flagship cameras and lenses. 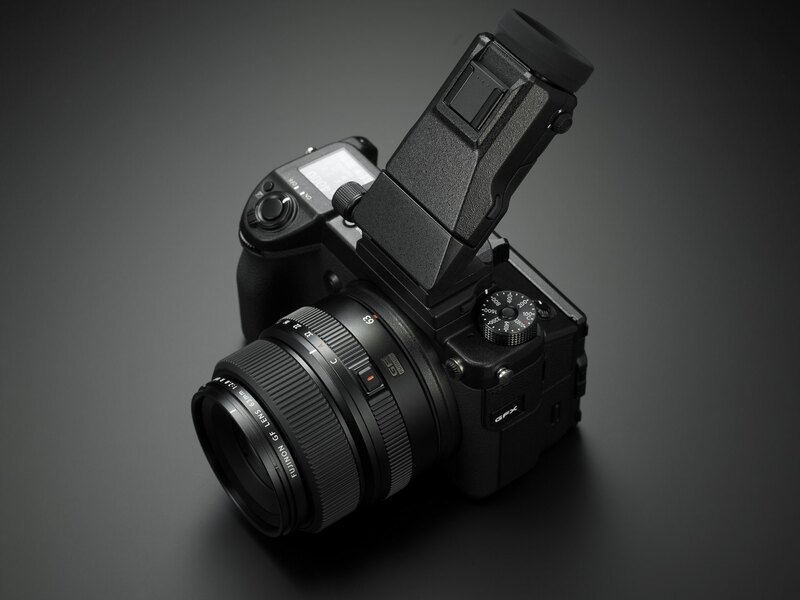 Micro Four Thirds mirrorless camera systems are increasingly being chosen by photojournalists for their light weight, compact size , small lenses and high image quality rivalling if not surpassing that of photojournalism’s former analog mainstay 35mm cameras when loaded with slow colour and medium high speed monochrome film. Results obtained with M43 cameras often remind me of what I used to get on my 6×4.5cm and 6x6cm 120 roll film cameras while the image quality from APS-C cameras like those made by Fujifilm is reminiscent of results from larger 120 roll film formats like 6x8cm, 6x9cm and wider. 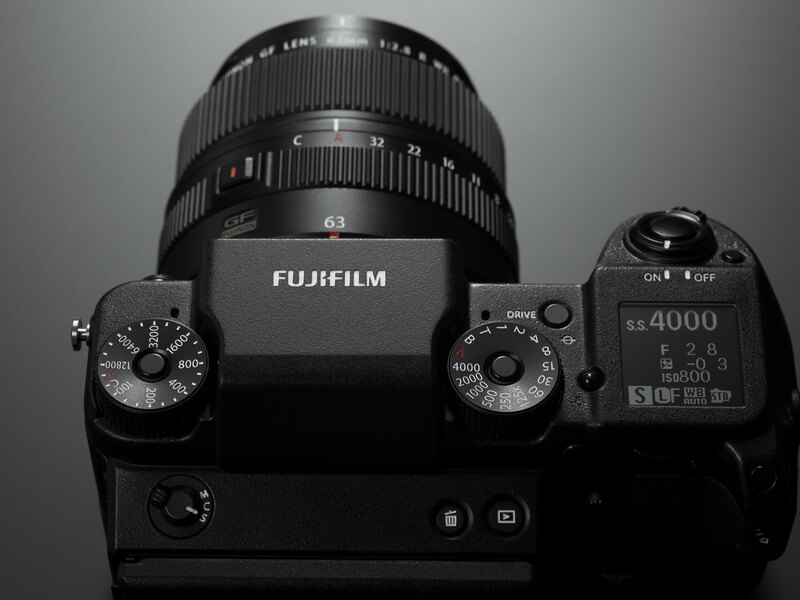 Meanwhile digital medium format cameras systems like Fujifilm’s coming GFX 50S approach if not surpass the image quality once obtained from sheet film. 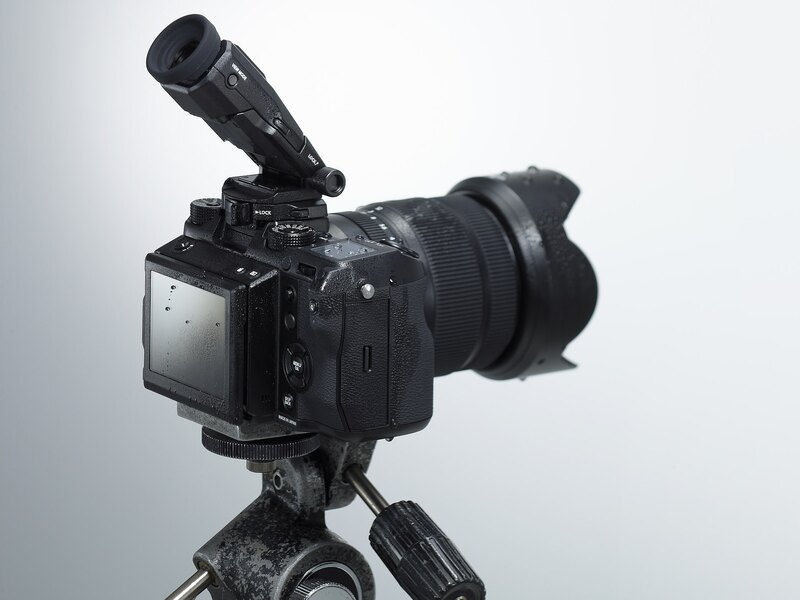 The newspaper and magazine photography career opportunities we once had may not exist anymore but at least our choice of digital camera types and sensor sizes is approaching the wide variety of analog cameras that once existed. Panasonic Australia – LUMIX DMC-GX8 SPECIAL GALLERY Daniel Berehulak, Cuba: a portrait of a country and its people, on the brink of historical change. 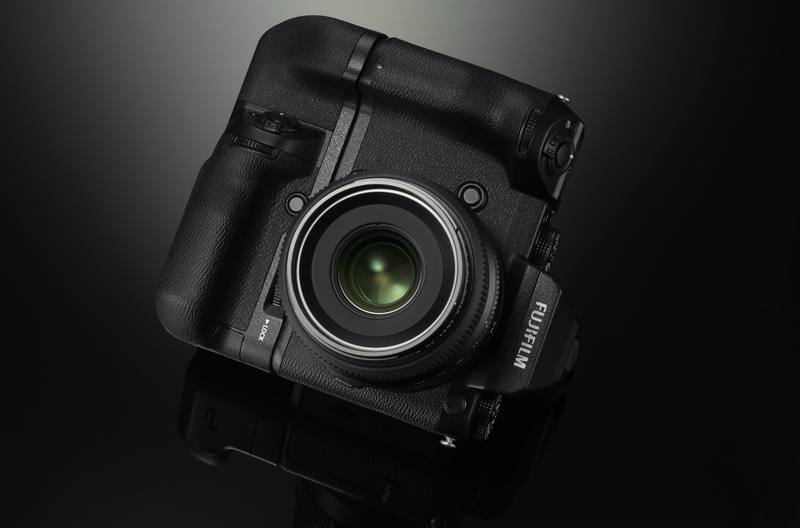 Fujifilm’s GFX 50S medium format digital camera is more revolutionary than the most commonly shared images of it suggest. 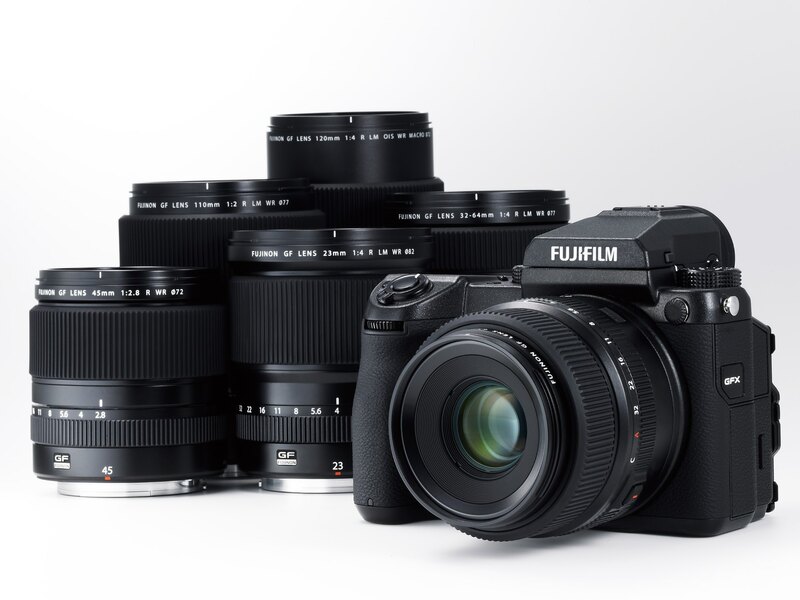 That is the first thought I had when I began exploring then downloading the product shots at Fujifilm UK’s image bank and I think it is only going to really sink in when more photographers than just the few manage to try one out. 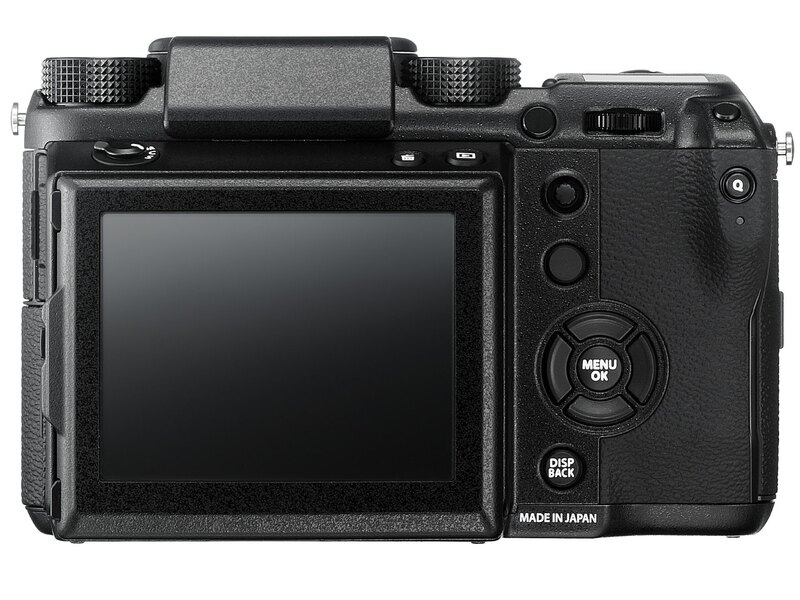 The press images hinting at the GFX 50S being more than meets the eye prompted me to download them all and publish them here, below. 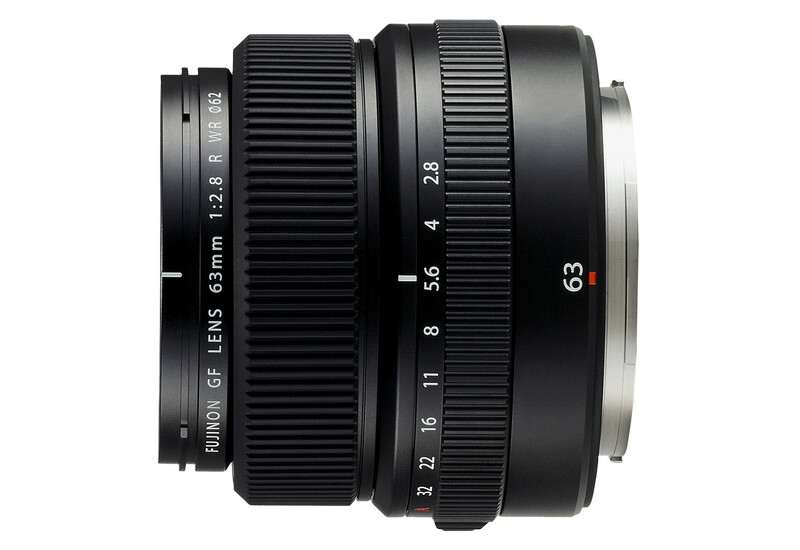 Specifications lists like the one further down the page are well and good, but seeing is where we will understand the real nature of this camera and its accessories. 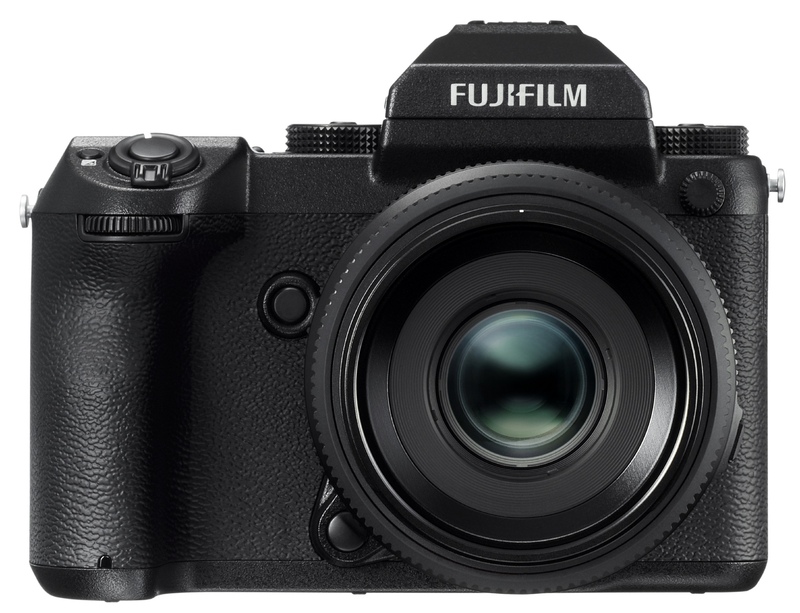 The most obvious way of looking at the GFX 50S is as a larger version of the Fujifilm X-T2, but with a medium format sensor instead of an APS-C one. And in a way, that is correct. 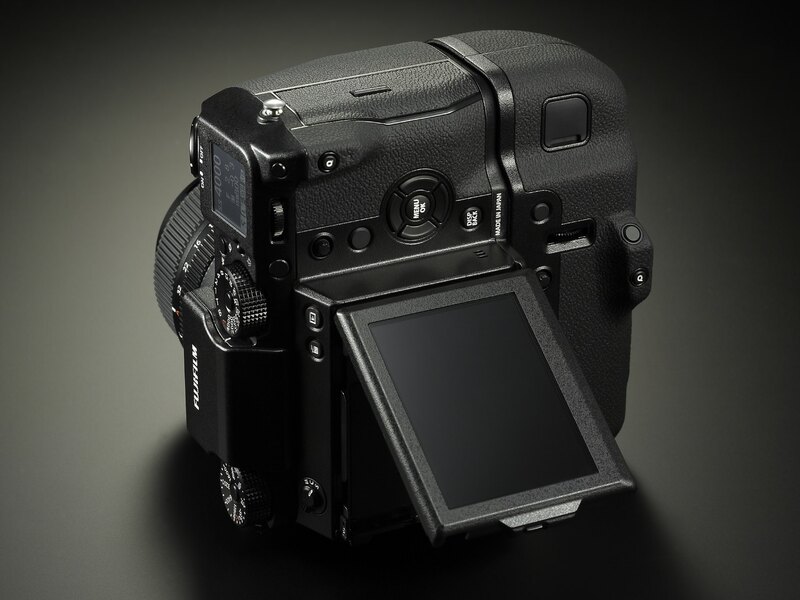 The GFX 50S has the external form factor of a DSLR except for the fact that we know the GFX 50S – with S, we assume, standing for SLR-like –is most certainly a mirrorless camera with all that implies about its lack of mirror slap and its ability to use an electronic or a mechanical shutter. But then dig a little deeper. 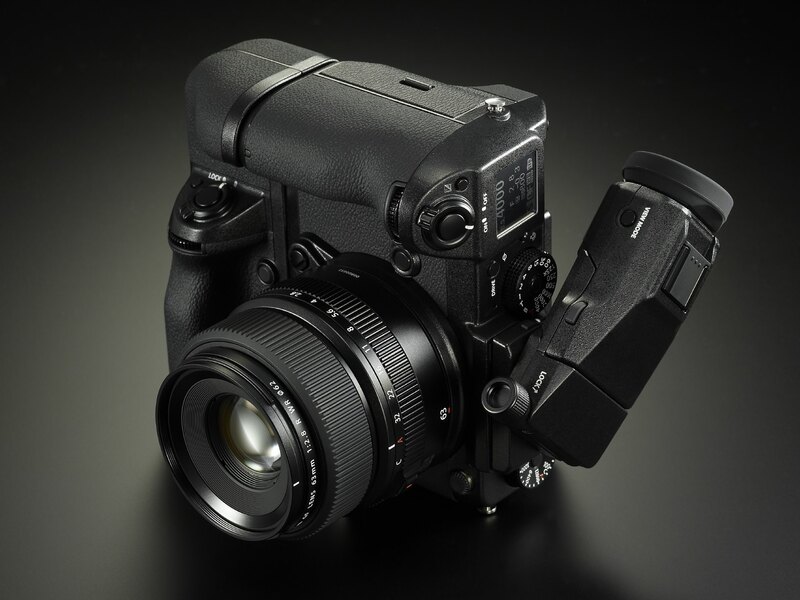 That pentaprism-like electronic viewfinder (EVF) unit is removable and yet, without it, the GFX 50S remains perfectly functional but as something more resembling a small view camera. 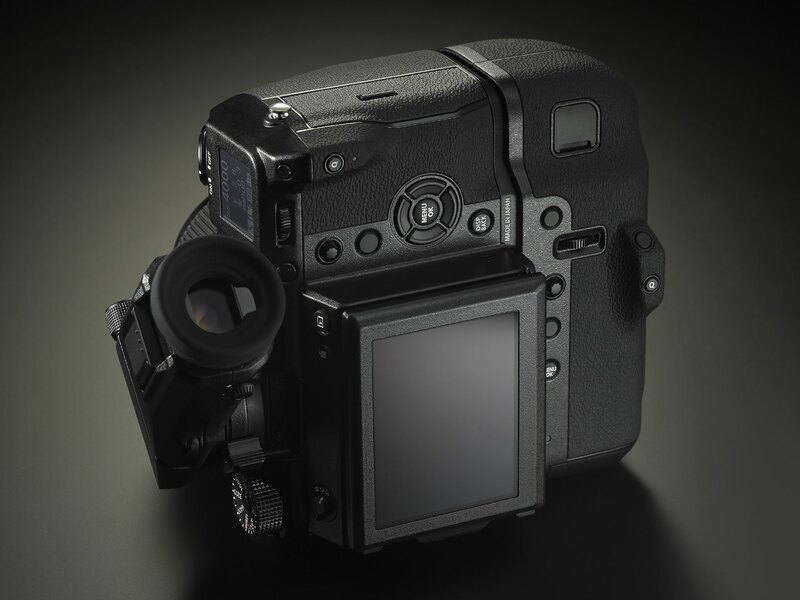 Instead of a ground glass, it has a high resolution rear LCD screen. 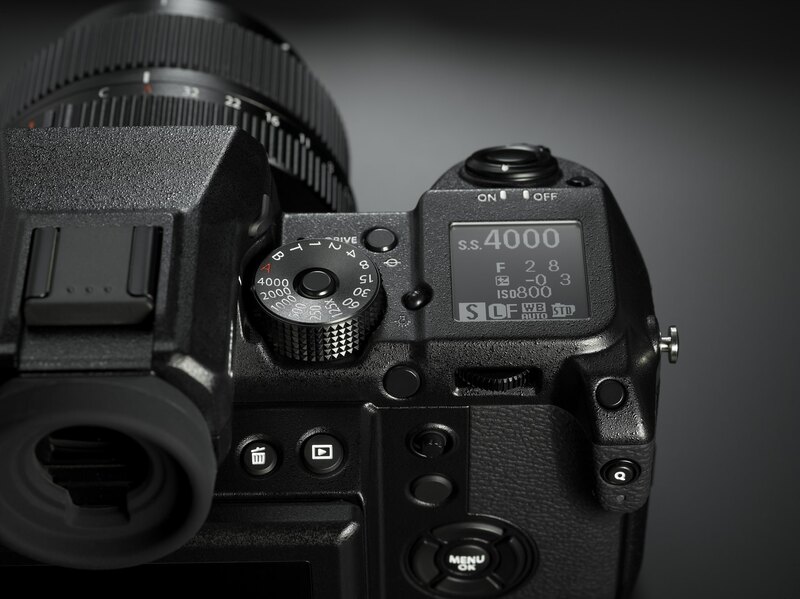 So does the X-Pro and X-T2, like a slew of other excellent contemporary mirrorless and, for that matter, DSLR, cameras, all providing a live view that is perfectly adequate for using to compose, focus and create your photographs. 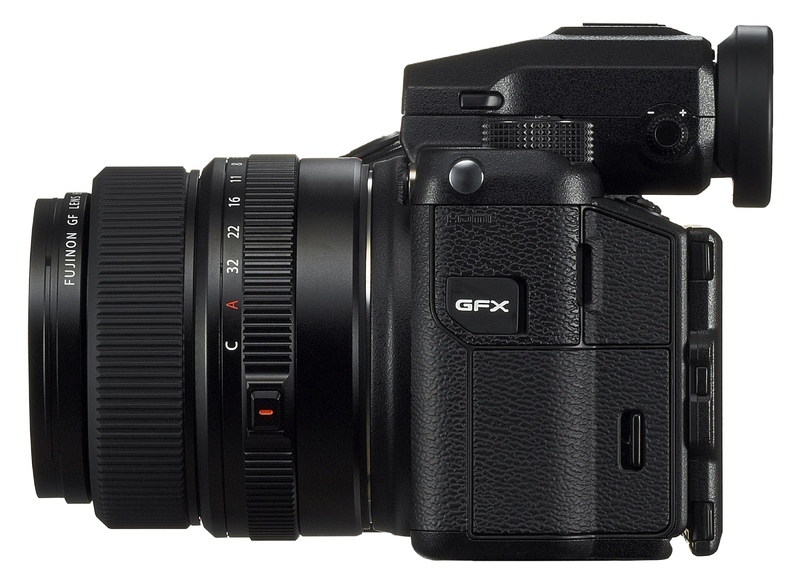 Contemporary mirrorless devices push digital cameras beyond the limitations of analog cameras in ways that mean I for one can never go back. 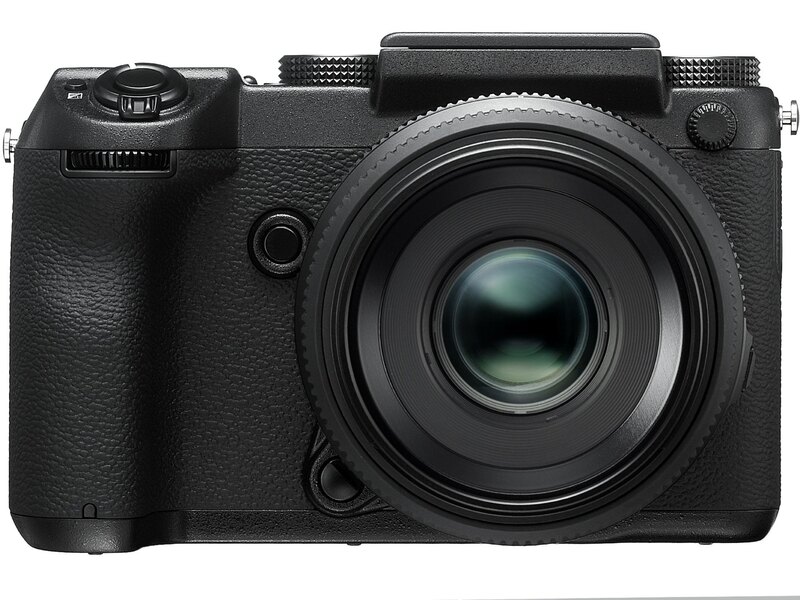 Fujifilm’s X-Pro2, for example, might be considered three cameras in one, in analog terms. In one way it is a small view camera not unlike the 120 roll film Linhof Technika 70, one of two Linhof Technika cameras with which I learned professional photography, the other being a Linhof Super Technika 4″x5″ sheet film camera with optional roll film magazines and a case full of accessories. Although purchasing my own Linhof was beyond reach, the lessons learned on those two amazing cameras have stayed with me for life. They intimately shaped my portrait photography style. 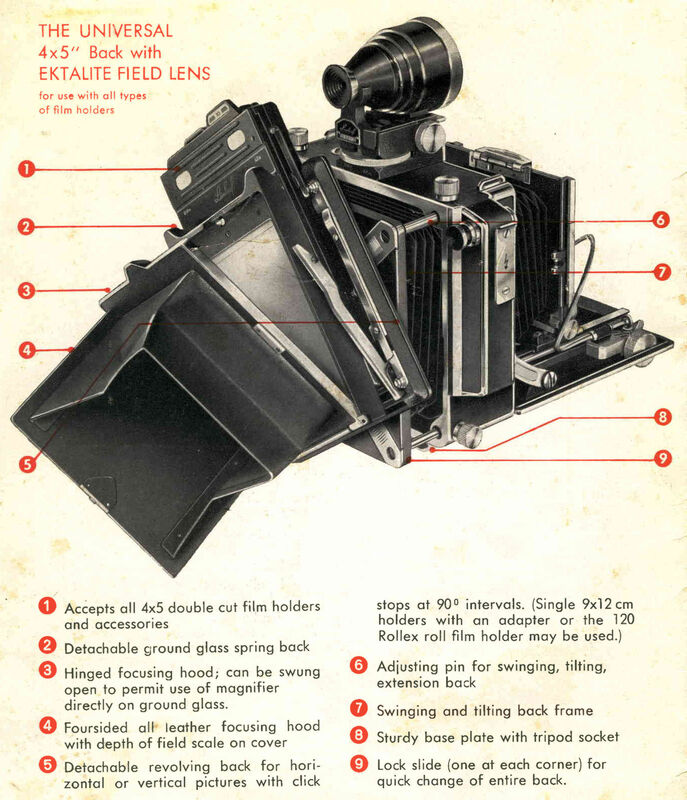 Even when I used other view cameras, usually field cameras, for my work as a magazine portrait photographer, I often did so with a Linhof variable format 120 roll film magazine for more shots, faster operating speed and the choice of shooting square, rectangular or panoramic aspect ratios. While I often find myself using the monitor of my X-Pro2 and other digital cameras as if a small view camera’s ground glass, there is no substitute for the real thing. It is all about the experience on both sides of the camera. For me, a contemplative experience of care and precision. For my subject, an experience of respect, sometimes awe, and oftentimes an hypnotic fascination with this remarkable high precision machine into whose eye I was asking them to gaze, unflinchingly. Then consider the images of the tilting EVF along with the images of the tilting monitor, both so reminiscent of the town lens reflex cameras that provided me with lessons in another way of seeing and photographing. Although I learned that on an art school Mamiyaflex C330 TLR with interchangeable lenses, I chose Rolleiflex T and Rolleiflex 2.8G cameras for my professional use, for urban documentary and portraiture. All three left me with an appreciation of square format, 1:1 aspect ratio, for those times when I wanted to draw my viewers’ attention in so clearly it was like an arrow into the centre of a bullseye. All my cameras were secondhand until I discovered 120 roll film rangefinder cameras and 120 roll film DSLRs. I won’t bore you with a list save to say that it was with the rangefinder cameras where I most felt at home due to having discovered Leica M-Series rangefinder cameras as a teenaged press photographer way out in the sticks working it all out for myself. Rangefinder cameras have a special place in my heart to this day for their immersive window into the world, their sense of deep space and spatial relationships across the frame as well as forward and backwards. 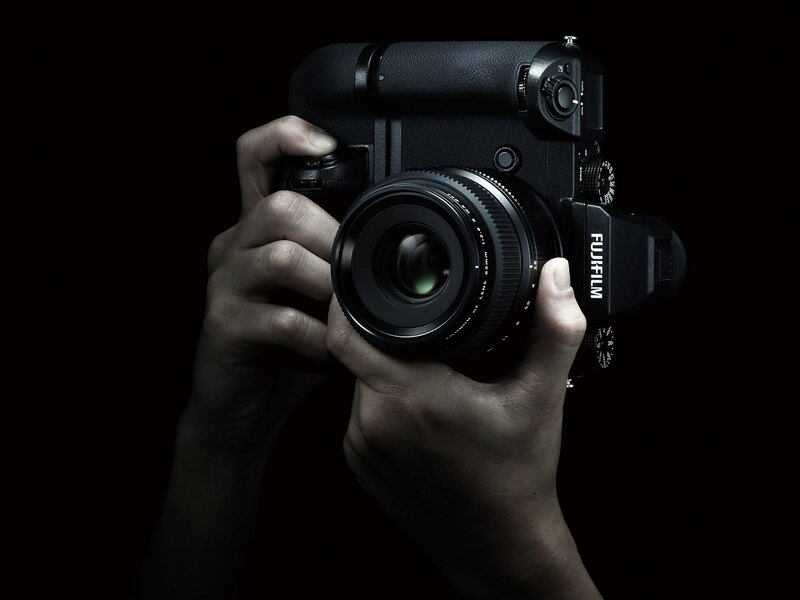 After the demands of commercial work caused me to invest in 120 roll film DSLRs, while conceiving the magazine I later went on to cofound, I discovered Fujifilm’s GX680 Professional series, a remarkable creation combining the best of view cameras with the best of DSLRs, but one which regrettably, I never got to try out. Another range of Fujifilm analog cameras that I was luckier with were its 120 rangefinder cameras that now live on in my hands in ghostly form as the X-Pro2. 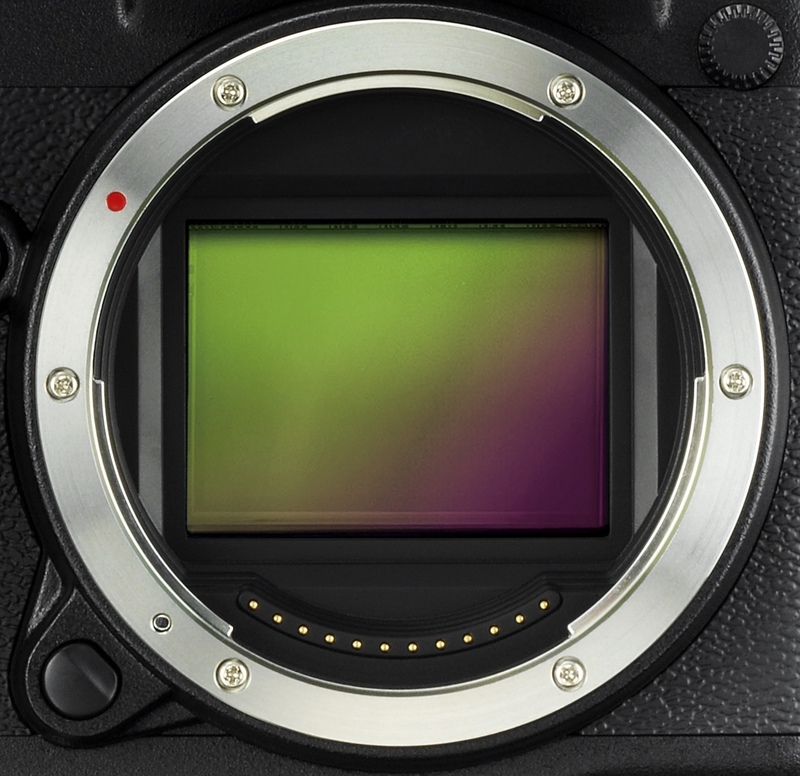 When the late, great photojournalist-turned-landscape photographer Michael Reichmann favourably compared the Canon EOS D30 DSLR’s sensor to Fujifilm Provia 100F film, it was clear that digital photography had attained the ability to match the look of analog. 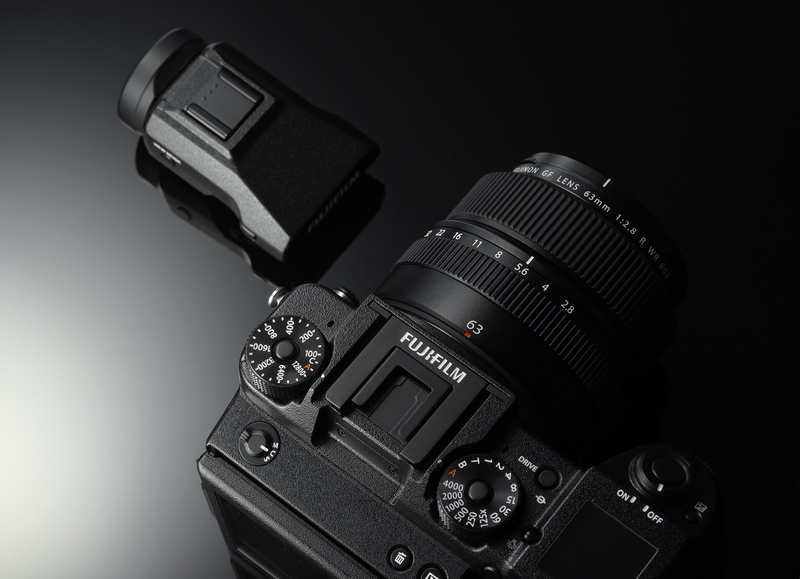 Fujifilm’s X-Pro 2, X-T2 and the coming X100F with their 24 MP sensors produce image quality far above that of 35mm film, rivalling if not surpassing that of low ISO 120 format film. We have so much to be grateful for. 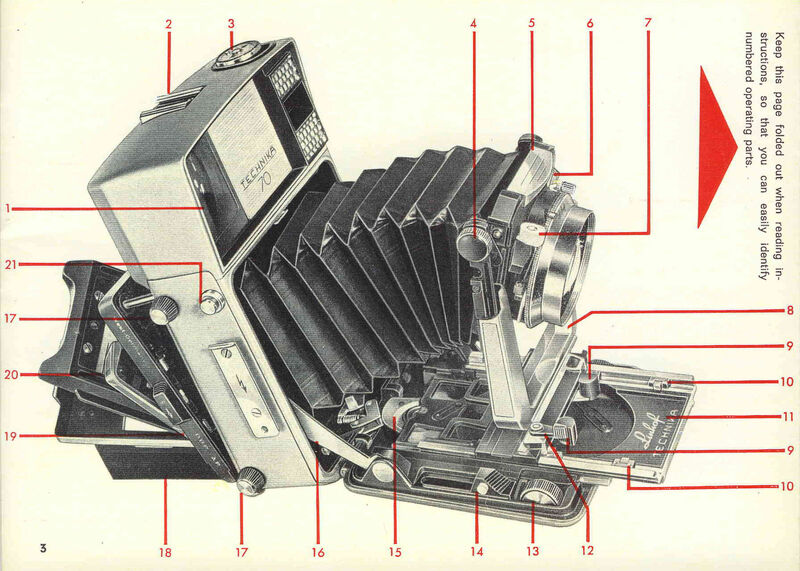 There is just one thing I am a little peeved about, though, and that is that we have lost the wide variety of cameras we had during the analog era. 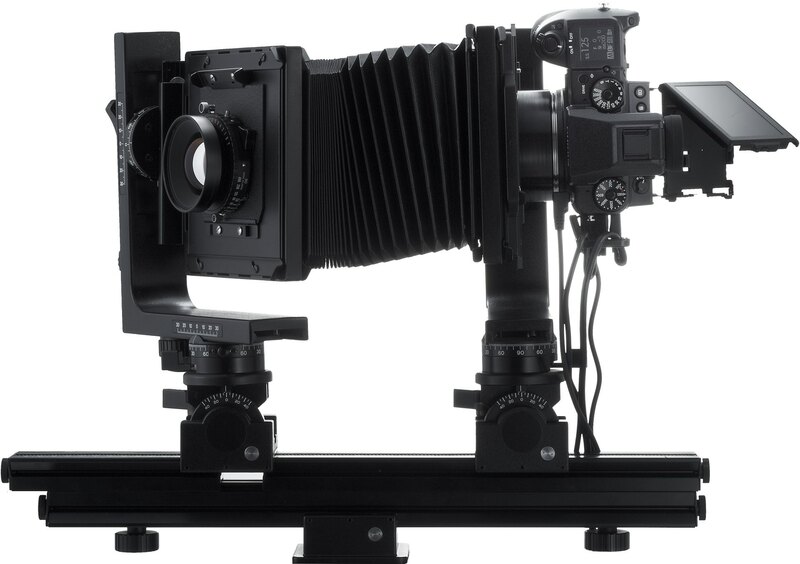 We now have remarkable image quality to the degree that images made on medium format DSLRs can surpass the resolution of 8″x10″ sheet film as Mr Reichmann demonstrated in another of his famous reviews. But what all this testing, side-by-side comparisons, digital up against analog and so on fail to do is consider the experience of the cameras and lenses in question, on both sides of the sensor, and what that contributes to the images we make with them. Image quality is crucial of course, and I say that as someone who commissioned photographs for 48-sheet posters during my advertising agency days and who now is contemplating a possible return to the art gallery wall. For me most of all the experience of the photographer and the subject is what reigns supreme and always will. 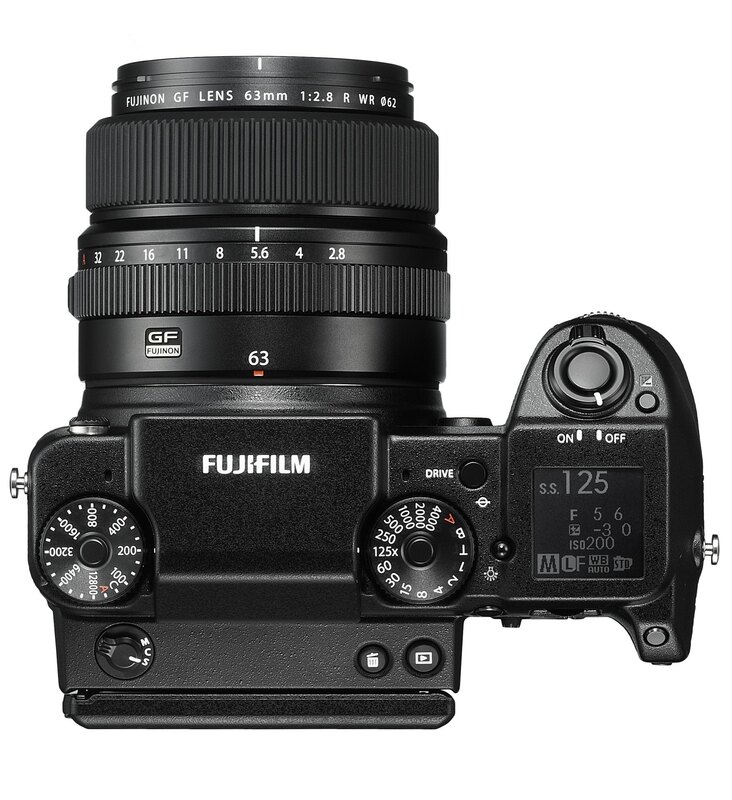 Click here to download a specifications spreadsheet PDF for the Fujifilm GFX 50S camera. 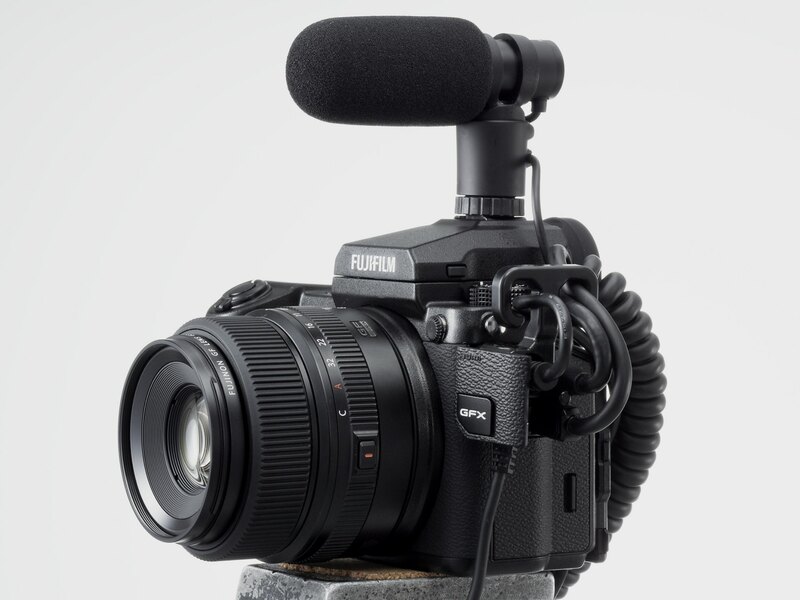 More GFX Challenges videos were released to go with the January 2017 announcement of the Fujifilm GFX 50S. Header image by Carmel D. Morris.